6 Things We Want From Westworld Season 3Where will HBO’s hit drama go next? Westworld Season-Finale Recap: The Way OutSeason two comes to an unsatisfying close, in spite of some shocking revelations and heady philosophizing. Westworld Season-Two Finale: Our 8 Biggest Questions and TheoriesWho’s really dead? What’s with that post-credits scene? And where does Westworld go from here? The Best Westworld Fan Theories About the Season Two FinaleFrom the most likely to the most ridiculous. Our 9 Biggest Westworld Questions About ‘Vanishing Point’Is William actually a host?! Westworld Recap: Lords of OneThe season’s penultimate episode sees characters plunging deeper into their quests, and some shocking twists. Our 8 Biggest Westworld Questions About ‘Kiksuya’Who left behind that drawing of the Maze for Akecheta? Westworld Recap: A Flower Growing in the Dark“Kiksuya” finally lets us into the beautiful story of Akecheta’s life. Our 8 Biggest Questions About This Week’s Westworld, ‘Les Écorchés’What is Ford planning next? How many Bernard hosts were made? Who will make it to the Valley Beyond? Westworld Recap: Infinity in the Palm of Your HandThe puzzle is getting easier to solve. Our 7 Biggest Questions About This Week’s Westworld“Phase Space” is a mindblower. A Simple Guide to the Timelines of Westworld Season TwoConfused by Westworld? 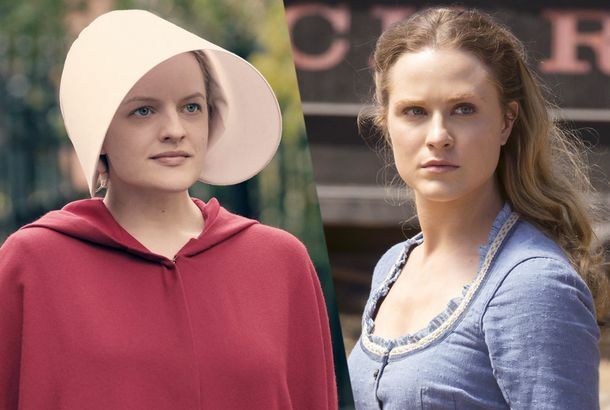 Here’s a chronological guide to season two. Westworld Recap: Welcome to Shogun World“Akane No Mai” is the best episode of Westworld yet. Does Westworld’s Second Season Kinda Remind You of … Lost?Some of this is starting to feel very, very familiar. The Best Westworld Fan Theories, Mid-Season EditionChecking in on the status of some of the internet’s most popular hunches, at the midpoint of its second season. Westworld Recap: Death WishWhat is the “true purpose” of a place like Westworld? Our 14 Biggest Questions About This Week’s Westworld“The Riddle of the Sphinx” deepened both of the season’s two key narratives, and then it intertwined them. Westworld Recap: One of Us“Virtù e Fortuna” is the pulpiest episode yet. 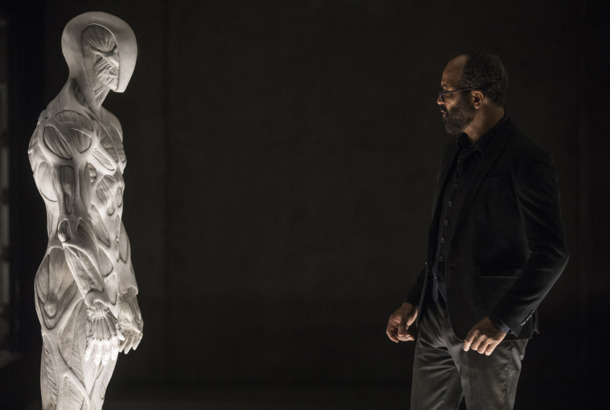 Westworld: Our 11 Biggest Questions About ‘Virtù e Fortuna’Where is Peter Abernathy? What’s the deal with the imperial British park? Do hosts exist in the outside world? Giancarlo Esposito Is in Westworld Because Anthony Hopkins Loves Breaking BadA case of ‘synchronous’ admiration with Anthony Hopkins led to his surprise Westworld cameo. Our 13 Biggest Questions About This Week’s WestworldDid Arnold actually bring Dolores to the “real” world? Westworld Recap: A Place Hidden From GodWhat is the “real purpose” behind the park? The Best Westworld Fan Theories About the Season-Two PremiereWhy is Bernard acting so weird? Our 16 Biggest Questions About the Westworld Season PremiereLet the bodies hit the … lake. Westworld Season-Premiere Recap: The ReckoningIn season two, Westworld is doubling down on mysteries. The 12 Biggest Questions Ahead of Westworld Season TwoDoes Dolores have a plan for her revolution? Will we see the outside world? What is Shogun World?